In a future where religion has been outlawed, twins banned and the state monitors everything, a young man stumbles across a secret that turns his world upside down. Ray Franklin, from the elite 10thLegion of Ailan, is respected by his colleagues but distant to his friends. He serves his country faithfully, without asking the questions that keep him awake at night. But when he discovers his family’s turbulent history is more complicated than he could ever have known, his loyalty is stretched to breaking point. A chance discovery reveals a brother he never knew of. Ray’s quest to find that man takes him from mountain tunnels deep in occupied territory to the treacherous corridors of power in the capital. When he discovers the true identity of his brother, the consequences punch a hole through the society Ray thought he was protecting. 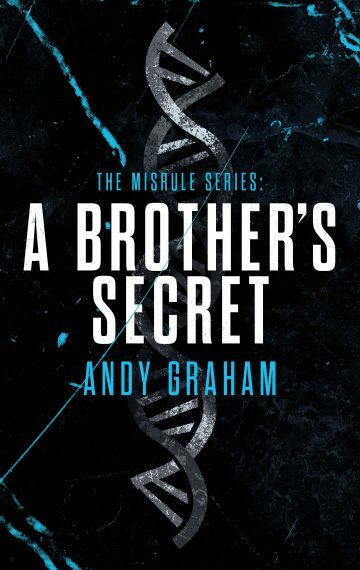 Set in a futurewith parallels to life in the 21st century, A Brother’s Secretis Book One of The Misruleseries. Part political thriller, part dystopian fiction, part sci-fi action novel, it is a dark, morally ambiguous tale from British author Andy Graham. The story will appeal to readers who enjoyed books such as Divergent,The Handmaid’s Tale,The Hunger Games,1984and Iain M. Banks novels. Will Ray Franklin risk his country’s future to uncover his own past? Download now to find out.